A truly traditional-inspired sofa, our Johnston grande high-back sofa is ideal for anyone looking for comfort and a little more back support. With clean lines and sleek contemporary wooden legs, Johnston still works in a modern space just as well as it does in traditional homes. Available in four sizes, Johnston gives you plenty of choices when it comes to personalising this design. 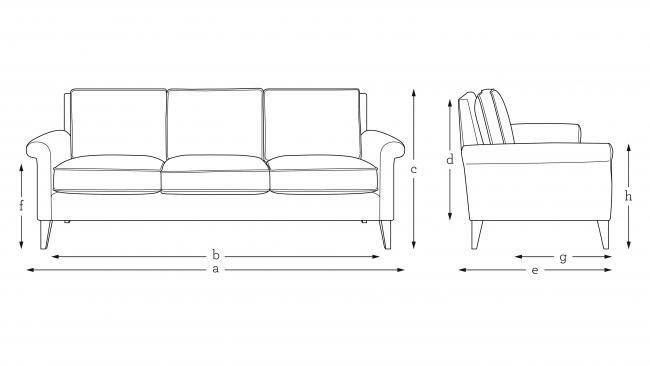 A high-back sofa is unmatched for comfort, and with combi back cushions, Johnston is our most supportive sofa to date.